Nearly 1 million bikes are manufactured world- wide every year. According to one study, people that bike for at least 30 minutes 5 days per week take half as many sick days. Biking for 3 hours per week will reduce someone’s chance of a heart attack or stroke by 50 %. More than 85 million people ride bikes in the U.S. If you get injured seek the advice and treatment from a Physical Therapist. Biking not only is good for your health, it immerses the sense in beauty: you feel the breeze against your face, you see the colors in the changing landscape, you hear the birds singing overhead, and you even smell the flowers and plants and earth. 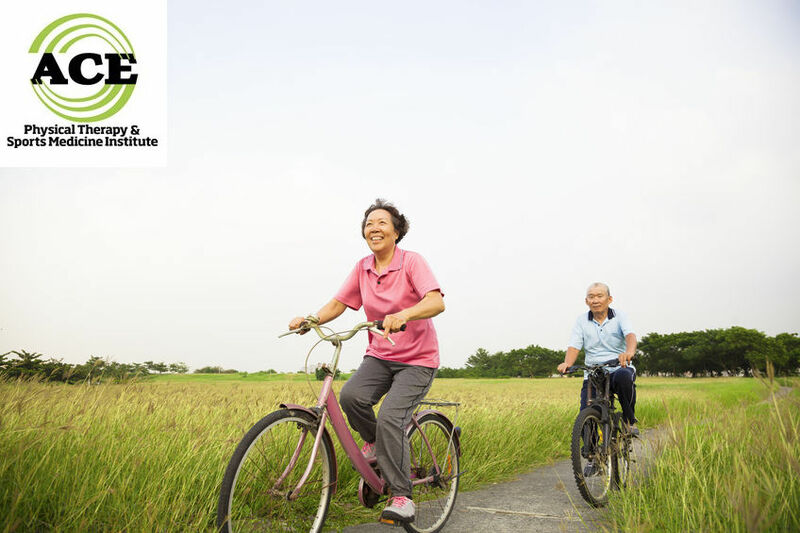 Perfect for all ages, biking is great for the cardiovascular system and helps to strengthen the lower extremities which in turn makes many weight bearing activities safer and more easily accomplished. The act of riding is cardiovascular but with decreased impact forces on the low back and lower extremities. Here are a few tips to help you prepare to enjoy a season of biking. There are hundreds of different makes and models of bikes. You have to decide which one you want to buy based on the surface (s) that you intend to ride on. If trail riding is your thing, purchase a “mountain” bike. It has a sturdy frame designed to withstand the pounding of riding on uneven, rough terrain. It is equipped with wide, nubby tires for traction. A “road” bike is designed for higher speeds on smooth surfaces. The frame is lite weight and the tires and handlebars are thin and narrow. The design of the bike is to aerodynamically sound and enables the rider to go faster and for longer distances. There is an in-between type of bike called a “hybrid”. This bike is designed for smooth or semi -smooth surfaces. It has wider tires and a heavier frame than the road bike, but not as “heavy duty” as a “mountain” bike. Prior to riding, you should get “fitted” for the bike that you have chosen to ride. The frame needs to be the proper size to make the ride enjoyable and safe. You should be able to stand on your “flat feet” with the frame between your legs. The cross bar of the frame should make minimal contact with your crotch. If you have to stand on your “tippy toes it is too big and if there is no contact it is too small. The proper fit will make you less susceptible to injuring some body part. If it is too big you might fall when you attempt to stop and if it is too small you might develop hip and knee pain secondary to excessive flexion in these joints. The seat or saddle height should be at a level that enables your knees to be nearly straight or fully extended (very slight bend approximately 10 degrees) at the bottom of the pedal stroke. The slight bend is preferable to avoid excessive compression force on your kneecap when you are at the top of the pedal stroke. One quick way to set the saddle is to “line it up” with your belt or sit on the saddle and put your heel on the pedal at the bottom of the pedal stroke position. Your knee should be completely extended (no bend at all). When you slide your foot towards the rear of the bike to position your forefoot on the pedal, it will force your knee to bend approximately 10 degrees. 3. Always wear protective gear. The most important piece of gear is a “biking “helmet. These are designed to absorb impact force if you are unfortunate enough to fall from your bike and strike your head on something. Wearing eye protection is advisable and colorful outfits that are easily seen by others. Riding postures are something to consider. The more advanced and aggressive riders will usually assume a more flexed posture to make them more aerodynamic. If you are going to “cruise” you will most likely sit more erect. More flexion can possibly injure the neck and/or low back. 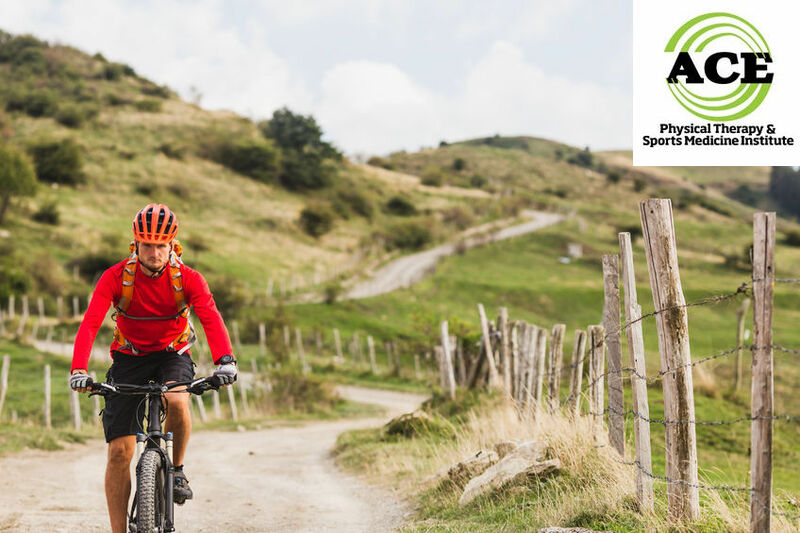 If you develop pain in a body part after cycling you should seek the advice and treatment of a Physical Therapist that specializes in orthopaedic injuries. These licensed, healthcare professionals are well educated in the function of the body and can help you return to the pre-injury status. The Physical Therapist will evaluate your injury and develop a treatment plan that will address all of its symptoms. The plan will include treatments to reduce pain and swelling and exercises that will help to re-develop motion and strength. Visiting the Physical Therapist is easy and does not require a visit to a doctor. Check with your insurance company because your insurance plan might require you have a referral from your primary care physician.